Once you have you POLi credentials added to Signmee, you will be able to add the POLi option to your payment forms. NOTE: If the POLi option does not appear, see Fig 4 below. 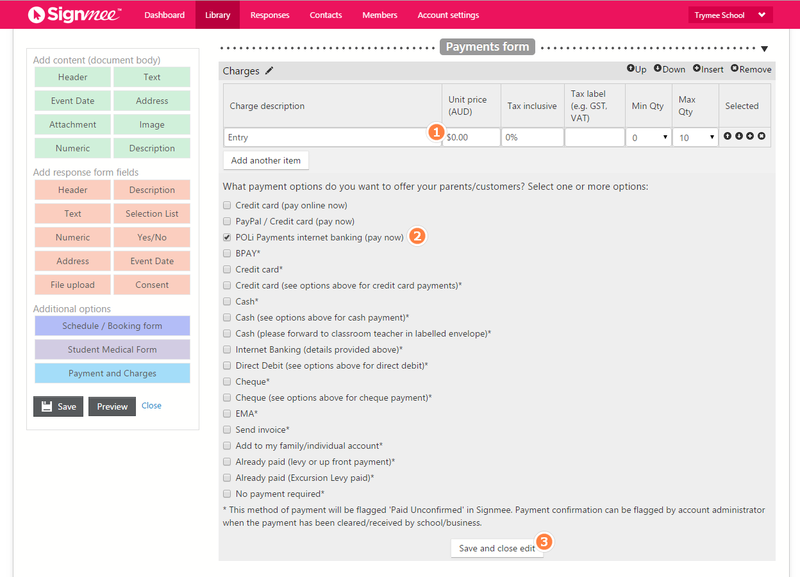 Fig 2: Add charge description, unit price and check POLi Payments option. You can include other payment options if you wish. 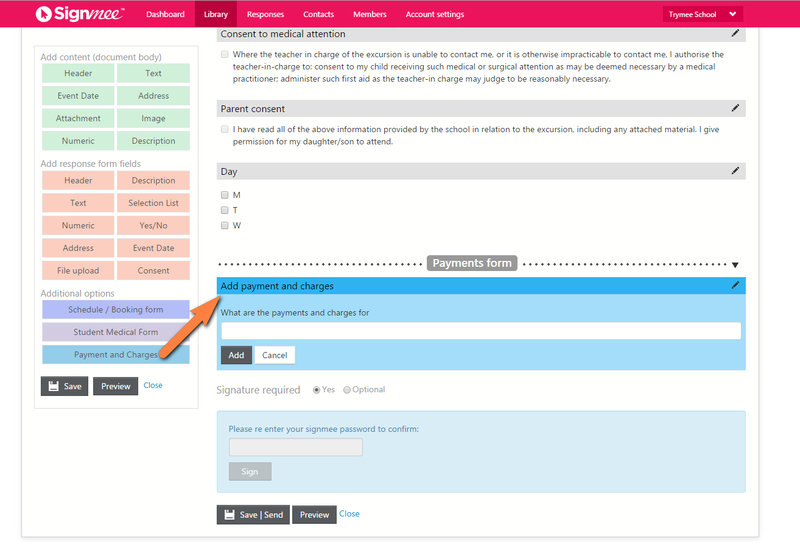 Fig 4: Sometimes the POLi Payment option will not appear (especially if you copied an old for or a template). 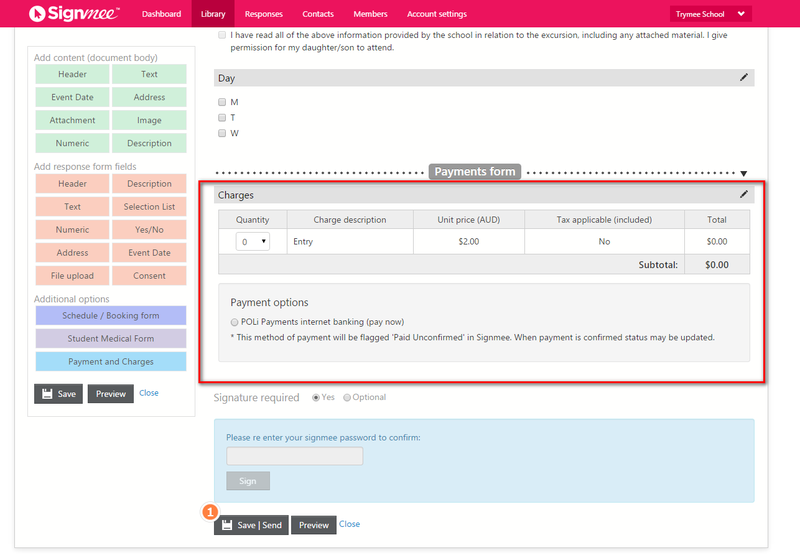 In this case, you will need to delete the existing payment window and add a new one. Annoying...sorry!